You requested articles having title word(s) of Kelley using expanded match written by all authors on all subjects in all journals in MLPI 1984 - present. 1. "Kelley: The Story of an FBI Director"
[Book Review: Kelley: The Story of an FBI Director by Clarence M. Kelley and James Kirkpatrick Davis]. 3. "Retired Supreme Court Justice Dies [Kelley] [news note]"
4. "Minnesota State Legislature Legal Team [2017 Attorneys of the Year] [Doug Kelley] [Steven Wolter] [Daniel Scott] [Kevin Magnuson] [Brett Kelley] [David Herr]"
5. "Kelsey Kelley [Up & Coming Attorneys 2017]"
6. "Mahoney, Walling, Kelley Firm Ceases After Year of Turmoil [news note]"
7. "Kelley Swangstue [2018 Unsung Legal Heroes]"
8. "Attorneys Of The Year: Patrick J. Kelley: Kelly & Fawcett, P.A." 9. "Top Women In Finance 2005: Katie Kelley, M & I Bank Minnesota"
10. "Kelley Absolved [news note]"
11. "Lawyer Spotlight: Doug Kelley"
12. 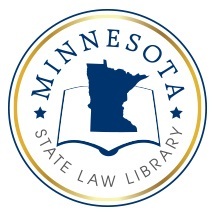 "Justice Kelley Scheduled to Retire from the Supreme Court in August to Take a Slower Pace"
Search LawMoose Minnesota collections for "Kelley"
Search LawMoose World Legal Resource Center for "Kelley"